This is a very popular post card with a very popular view. A lively and vibrant Roseville Avenue in the early part of the 20th century. In the right foreground, it is interesting to note that the Roseville Armory had yet to be built. Other structures clearly occupy that spot. Also interesting is the presence of buildings where Roseville Avenue rises as it goes toward Sussex Avenue, those buildings having long ago surrendered to the 40 foot culvert that Route 280 runs through. 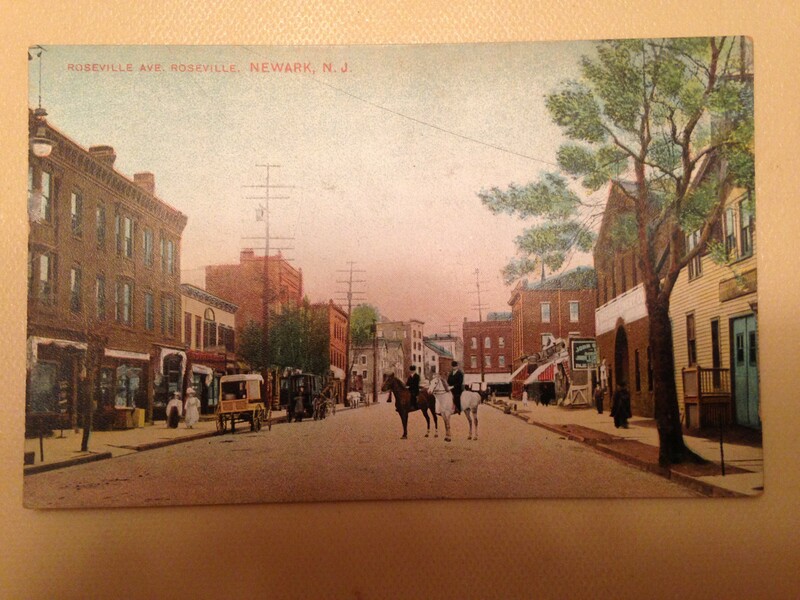 I’ve found that Roseville is one of the best documented neighborhoods in Newark during the first 20 years of the last century.